2016 is shaping up to be one of the biggest years in gaming. Not only does it hold upcoming games that range from an action-adventure set 12,000 years into the past to an adventure that takes place in another galaxy to another unforgiving action RPG. We also have two movies adapted from popular video games — one based on the Assassin’s Creed series and one based on the Warcraft series — which holds a lot of promise, especially the former with its Oscar-nominated lead. But for longtime Final Fantasy fans, there is no other bigger news than the announcement that the much anticipated Final Fantasy XV is finally arriving for the PlayStation 4 and Xbox One consoles. The announcement comes from none other than the director of the game itself, Hajime Tabata, so fans can breathe sighs of relief that it’s not some random rumor scooped up from who knows where. Tabata, however, did not give an specific release date. But nobody’s complaining: The announcement that it will come in 2016 is enough. 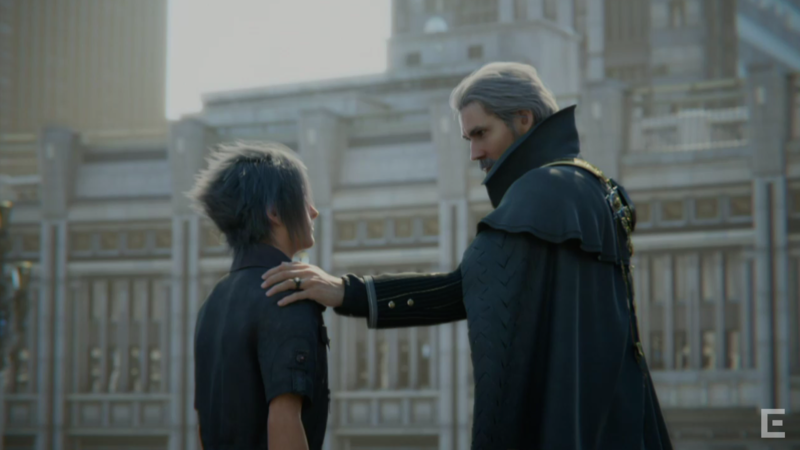 Final Fantasy XV, according to Tabata, is in the final stages. Which COULD mean that the core game is all but finished and the staff are now in the “smoothing” phase of the development, possibly in the testing phase. But there is no telling what Tabata and the entire development team are currently working on at the moment unless they specifically divulge the details. It’s understandable if fans went into overdrive once the news reached their radars. After all, they have been waiting for the game for a decade now. Final Fantasy XV was originally announced back in 2006, then titled as Final Fantasy Versus XIII. But changes within the development team, notably the director’s chair, along with the negative reception of the Final Fantasy XIII series and Final Fantasy XIV‘s initial mishap, pushed back the development of the game by years. Like many other games that are yet to be released, Final Fantasy XV was initially judged based on its trailer (seen above). Although many raised their eyebrows at the game’s “black-ness”, it wasn’t enough to put down the hype surrounding it. The fact that Final Fantasy XV reached the final stages of its development without any significant setbacks proves that the game is very much on the way to once again take gamers on a grand adventure across breathtaking lands, accompanied by an assortment of characters.